Ooooh, the power of a little white paint. 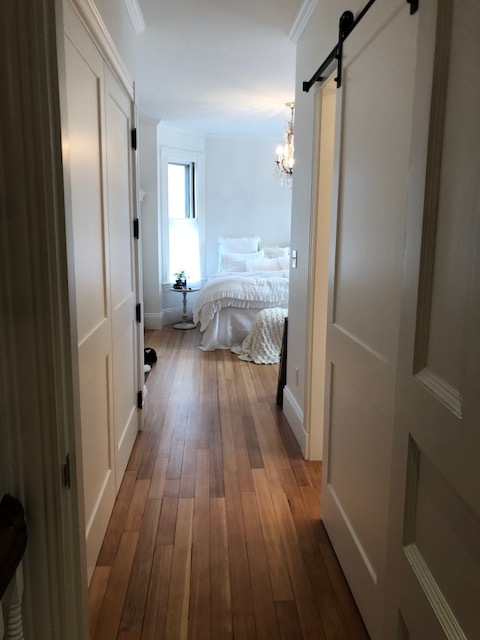 I just re-did my bedroom because, after 20 years, we built a master bathroom, and yes, I do believe that I appreciate it more than if it had come with the house 20 years ago, because, wait for it, I had to wait for it. Anyway, my room had been a light gray, and I decided to paint it white and wow, it’s like the great feeling of meditation, but without all that nasty sitting and trying to quiet your mind. I wear black a lot. 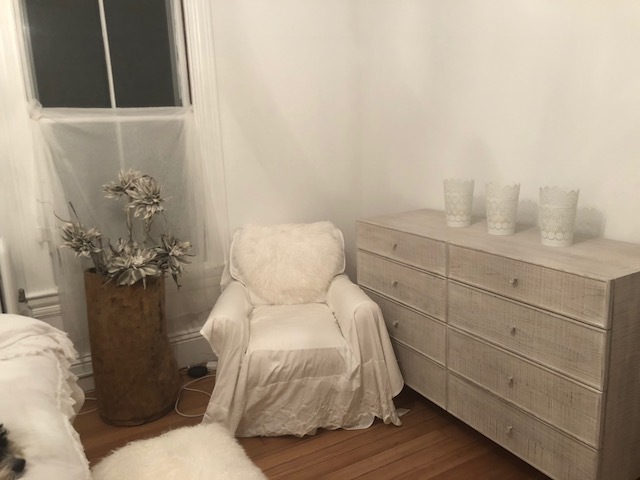 (it helps with that perpetual question: “Does this make me look fat?” Which, of course, the answer to is always “No,” unless I’m the one having a convo with myself and then it’s “Less fat.” ) But when it comes to decor, I love white. I love it for its simplicity and chameleon-like ability to be whatever you want it to be. I use it because it’s both soothing and full of possibility. It gives me that just showered feeling, that first snowfall heartbeat. 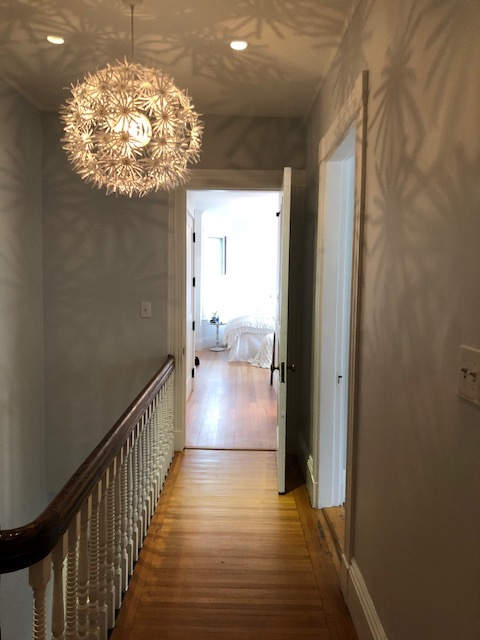 I used Benjamin Moore’s Chantilly Lace, which is a bright white, but not stark, and has a great warmth. And of course, it pays to have a great colorist and painter–one Celine Hale–who is part hue guru (huru?) part can-do-anything wizard, part queen of clean, and 100% freakin’ fabulosity. 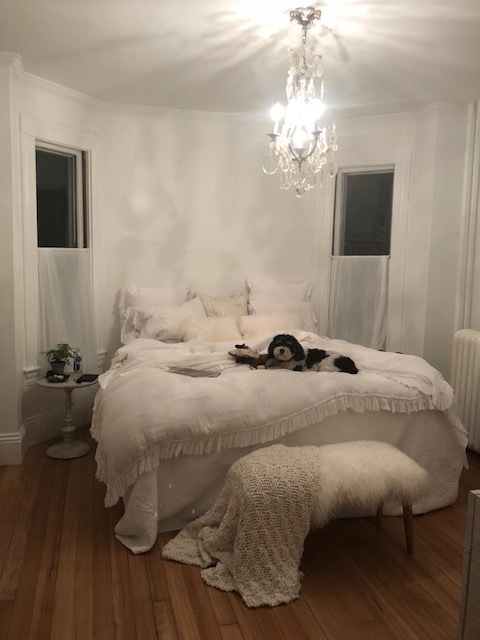 Girl knows her colors and damn she can make a room look new (not to downplay her partner Chris, who is also the damn best of the best).